How Long Does a Tail Light Lens Last? Your car has a number of crucial lights – the headlights, turn signals, backup lights, tail lights, brake lights and more. On the rear of the vehicle, your lights are encased in a tail light lens. Depending on the make and model, you might have a single lens, or you might have multiple lenses. Lenses do a number of different things. First, they help turn white light to another color. For instance, your brake light bulbs and tail light bulbs are clear, and produce white light. The red translucent plastic of the tail light lens turns that white light red so it’s more easily distinguished at night, in low-light situations and when you’re braking. Tail light lenses also protect the bulbs and wiring from the elements – rain, sleet and snow would do a number on unprotected bulbs and wires. While your tail light lenses don’t actually do any work (there aren’t any moving parts, nor do they support a load), they do wear over time. The primary cause for tail light lens failure is exposure to direct sunlight (UV light predominantly), as well as temperature extremes. Over time, the plastic can fade and discolor, and it will also begin to become brittle and more easily damaged. It’s also possible that the water seal around the edge of the lens will fail, allowing moisture into the lens, which could then short out the bulbs. 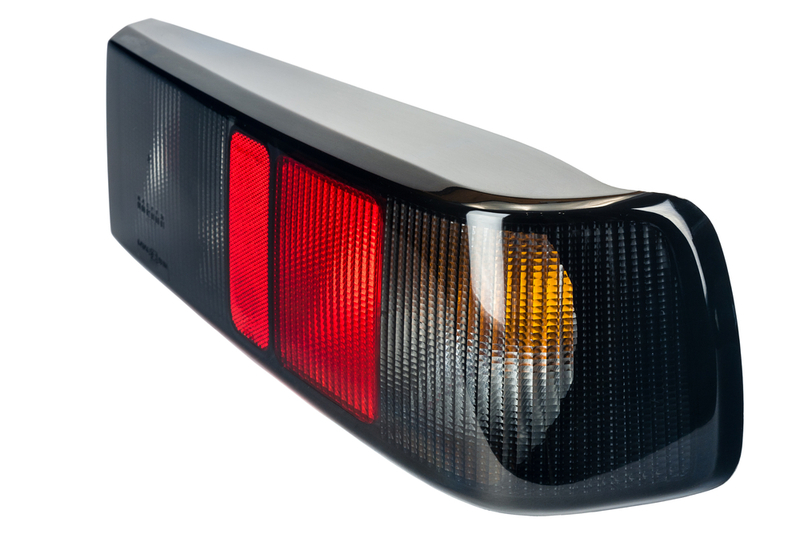 Because they’re made with relatively fragile plastic, your car’s tail light lenses are also easy to damage. All it takes is accidentally backing into a tree, power pole, or another car to crack a lens. Once cracked, it needs to be replaced. Not only will the crack allow moisture into the lens, but it also compromises your safety and that of other drivers on the road. If your tail light lens is damaged or is beginning to show signs of wear and tear, a professional mechanic can help to inspect the vehicle, and replace your tail light lens if needed. Q: Window not rolling up. Q: Why don't my tail lights light up when I press on the brake pedal?